The 2010 Winter Olympics was held in Vancouver, BC. 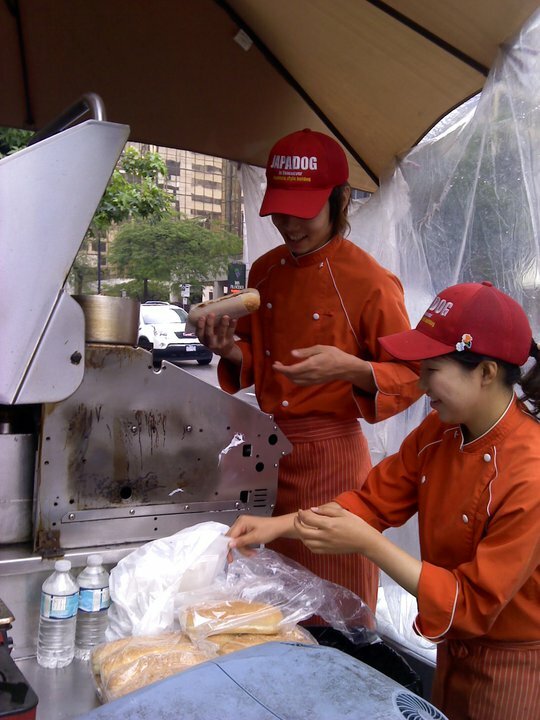 During the broadcast, NBC did a segment on the popular food cart, Japadog, which is a hot dog stand mixed with Japanese toppings. This cart has multiple locations, and there’s always a long line wrapped around the corner. Of course, I had to hunt one down on my next visit, and after a few hit and misses, we found one of the cart. 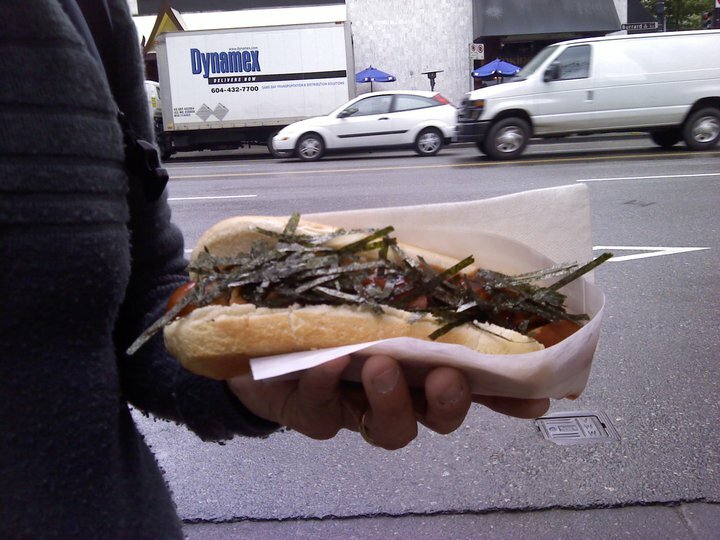 To our surprise, there was no line when we got there, so we decided to try their Karabuta Pork hotdog, topped with a sauce and the shaved seaweed. The hot dog was made to order, so it took about 5 minutes. 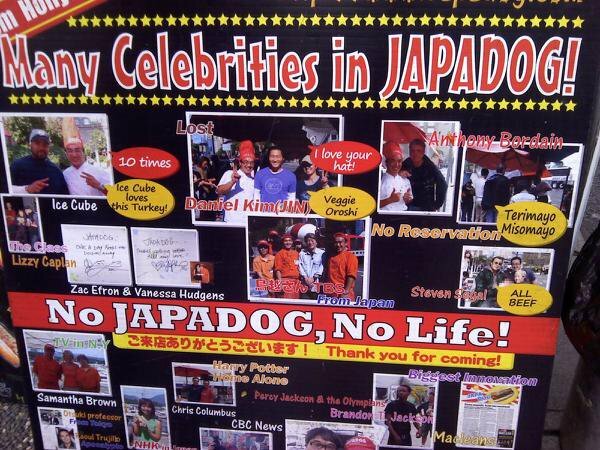 It was an interesting hot dog, something you probably won’t find in an American ballpark.